Indoor environmental quality has become so important that a newly formed alliance hopes to serve as a global source of information on the topic. The Indoor Environmental Quality Global Alliance will provide direction on what constitutes acceptable indoor environmental quality, ensuring that knowledge and research are executed by regulatory agencies worldwide. The emphasis will be on thermal conditions and indoor air pollution. Indoor air quality will receive more attention under the newly formed Indoor Environmental Quality Global Alliance. “In the built environment, indoor environmental quality must be our first concern,” ASHRAE President Bill Bahnfleth said in a news release. The alliance memorandum was signed June 29 at ASHRAE’s annual conference in Seattle. 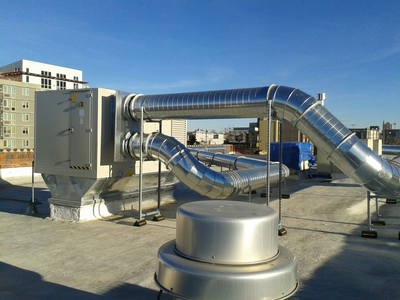 Signatories were the American Industrial Hygiene Association, the Air Infiltration and Ventilation Centre, the Air & Waste Management Association, the Indoor Air Quality Association, and the Federation of European Heating and Air-Conditioning Associations. The mission of the alliance is to provide better air quality to workspaces around the world, the group says. The alliance is supported by the World Health Organization and the U.S. Environmental Protection Agency, both of which plan to cooperate with the alliance in the future. Bahnfleth said the alliance would also seek cooperation from other organizations whose work directly the indoor environment's impact on occupants' well-being and health. This has been an issue for a loooooong time. I did work on indoor air quality apportionment in 1999 as part of my Master's degree. In general, for the average person in the 1st World, indoor air quality is far, far worse than outdoor air quality.